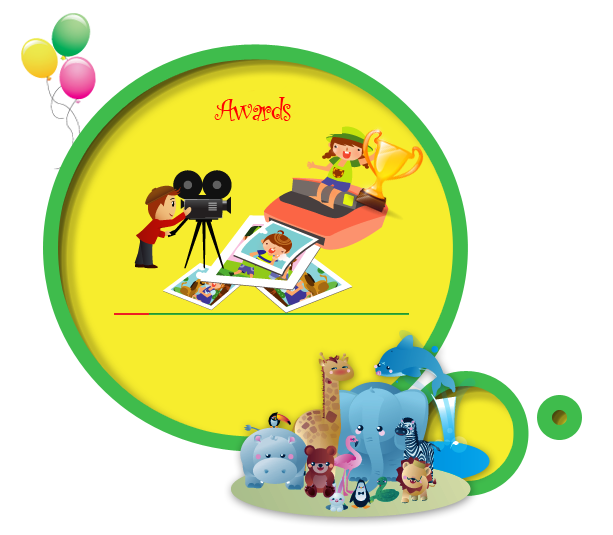 The Stars of the Industry Awards are international accolades conferred by the Stars of the Industry Group. The Awards programs were created more than 40 years ago to recognize outstanding accomplishments under the banner of Golden Star Awards. In India it is their 9th year recognizing the best in Education, IT, Marketing, Manufacturing and Corporate Social Responsibility etc. The Awards set standards and benchmarks of a very high order for others to emulate. The objective is to create values that will set iconic leadership & orient people to that leadership. Indy’s Education Award recognizes schools and colleges that are role model to the entire community of educators and inspire them to excel further. 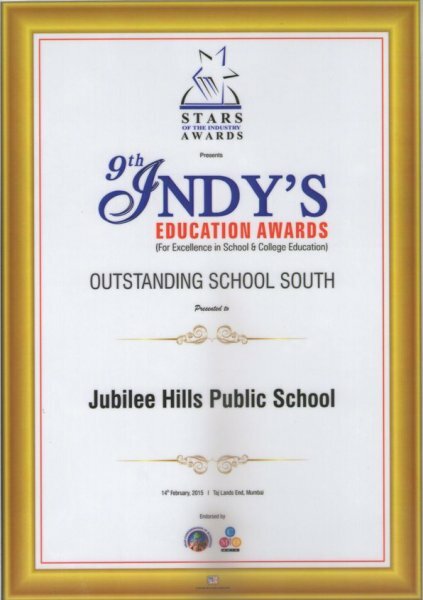 Indy’s honoured “Jubilee Hills Public School” with Indy’s Education Award for Outstanding School (South) for the school’s outstanding contribution to the field of education. On 14th February 2015 at Taj Lands End, Mumbai the Award was received by Academic Director Ms G. Sreedevi and Principal Ms M. Varalakshmi. Jubilee Hills Public School is the only CBSE school from Hyderabad to have received this award.